When multiple lines intersect to create a closed area, we call it a shape. 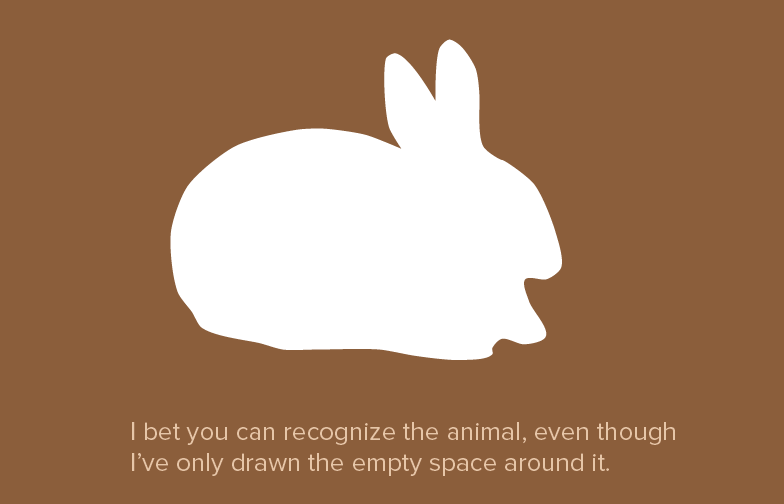 When you look at an image closely, you’ll see that it’s nothing more than a bunch of shapes forming a visual illusion. I’m not talking about objects or parts of objects, I’m only talking about pieces of a drawing that are visually different. A shadow, for example, is a shape as well, just as a highlight. If you (only) want to draw from real life, we’re already done here. I only need to explain a few things about shapes and techniques, and you’re good to go. I, however, think you want to be able to draw anything, not just copy some object that you put in front of you. The rest of the course is focussed solely on achieving that goal; drawing anything you can imagine. Nevertheless, the methods described here are still fundamental concepts that will probably be of some value to you. There are two methods to draw from real life: contouring and block-in. This sounds the simplest, but actually is the hardest. Contouring simply means that you copy every shape you see directly to the paper. 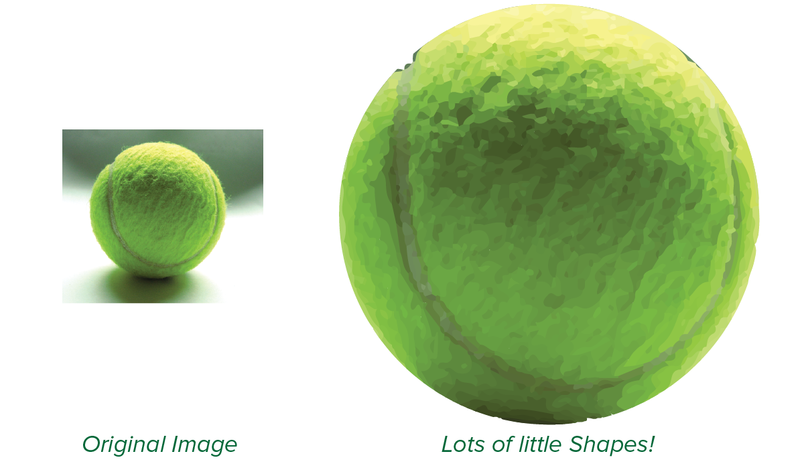 You don’t need to know the structure behind the objects in your picture, or how shading works – you can see the shapes right in front of you, and you can just copy them. This method is a simplification of the contouring method. Instead of drawing objects shape by shape, you draw the shapes around it (at the edges of the paper), where nothing happens. When done carefully, these blocks reveal the shapes you were trying to draw. The more often you refine your blocks, the smoother your shapes will be. Broadly speaking, the world is a set of so-called positive and negative shapes, balancing each other. When you hold your pencil up in the air before your eyes, you see a pencil shape (obviously). Your focus is on the pencil, which is why it’s called a positive shape. There is, however, something else you also (unconsciously) see: the space around the pencil. This space is mostly ignored by your brain, as it is blurred and empty, and therefore a negative shape. The block-in method from last section already made great use of these negative shapes, and you should use them as well any time you notice their existence! As you can see, positive shapes are surrounded by negative shapes; objects are surrounded by empty spaces without any object. When it comes to drawing, both of these shapes are important. To remember this distinction, it helps to know other names for negative spaces that are more descriptive: trapped shapes or negative space. It’s possible that “just draw the shapes as you see them” is a bit overwhelming, which is why I would like to list the four rules of shape, which are always a good starting point. Start Large. Draw large shapes first, then smaller shapes. Start with a general outline of each object, or maybe even a general outline of multiple objects at the same time. Squinting your eyes or rotating the image can help notice the largest of forms and shapes. Enrich. Distinguish between those major shapes by adding details and shading. Look for shapes that enrich what you already have, such as highlights, shadows, reflections, patterns, or textures. All of these are also shapes by themselves, although not always as obvious or simple as you think shapes to be. Connect. Tie shapes together to simplify the drawing, and make your life easier. You might think this adds to the confusion, but it actually greatly reduces it. Instead of adding all sorts of small scribbly lines and subtle tone differences, everything is unified and the viewer automatically interprets it the right way. Think “Negative”. When you see a trapped shape, draw it. Trapped shapes inherently reveal the positive shapes. Note that points 2—4 are in no particular order. As illustrated with the drawing below, you can apply them in any way you like. Now that you’ve learnt all about drawing from real life, you’re surely eager to know how you can draw anything that pops into your head. For this, the only method available is called construction. Simply put, everything can be constructed out of basic shapes, which are rectangles and ovals. And, of course, all sorts of variations on those (ellipses, trapezoids, egg-like shapes, etcetera). Next chapters will tell you all about those! After such a general and abstract chapter, there aren’t really exercises to be done. All I can say is: if you have the time, find an interesting object, and try drawing it using the methods I provided. Especially try to see and draw the negative shapes. Go wild! 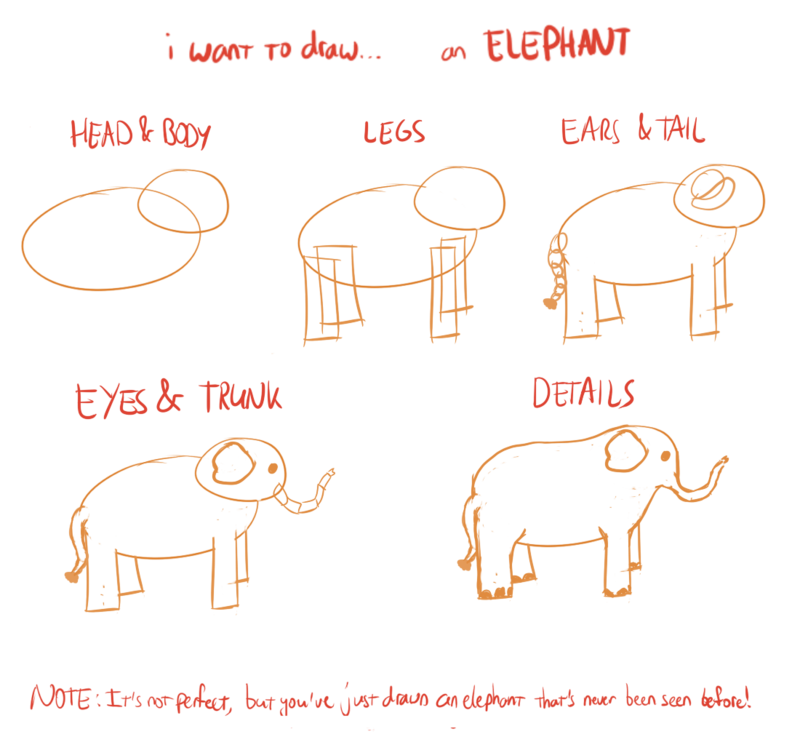 What is the definition for drawing big shapes first, then the smaller ones?